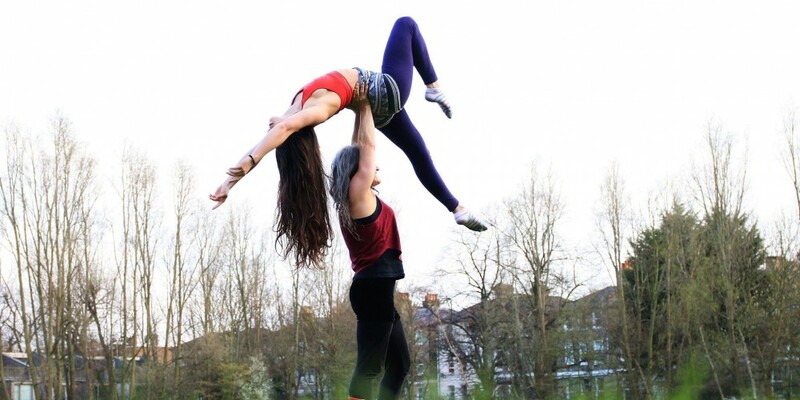 Circus Central and Shanti Bee have come together to co-host our first Newcastle Acroyoga Weekend! 2 days, 16 workshops and one geordie venue! Experienced teachers from near and far will be offering a range of workshops - from L-basing flows to handstand drills, standing acrobatics to washing machines, pops to therapeutic flying - we’ve got it covered! With dedicated workshops for both beginners and intermediate/advanced students looking for a challenge, there’ll be an offering for all AcroYogis during every workshop slot. Come alone, or bring a partner, friend, sister, great aunt... all you need is a willingness to turn your world upside down (and perhaps a bottle of water)! EarlyBIrd Tickets (10) £50 - no time limit on these tickets, once they're gone, they're gone! Friday 12th April 6-8pm Orientation, Registration and meet the teachers...and who knows, maybe an AcroJam too! Sorry, there are no places left on this course.